While some of us may like to “get away from it all” there is something to be said for enjoying all the conveniences of home. And comfortable beds. And cozy lounges to share with friends. 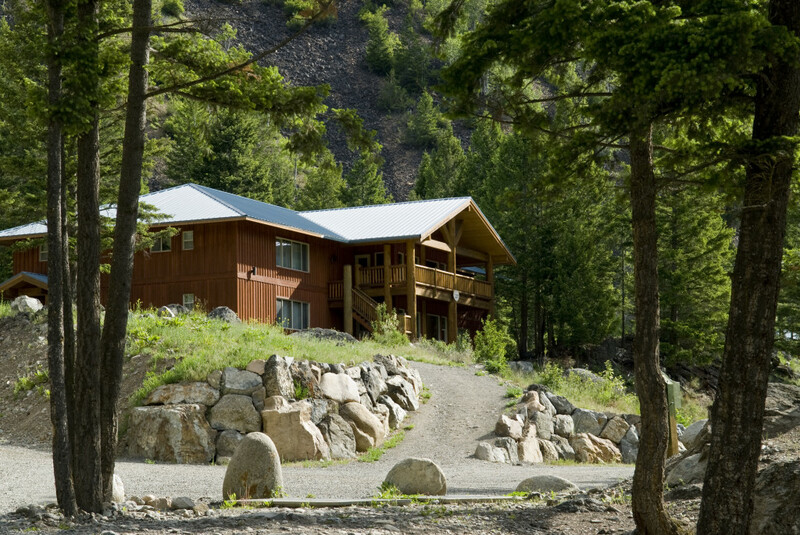 Enjoy our dorm style lodges over-looking the lake or move up to the luxury of Wolfe Creek Lodge. Either way, we’re sure you’ll enjoy your stay. 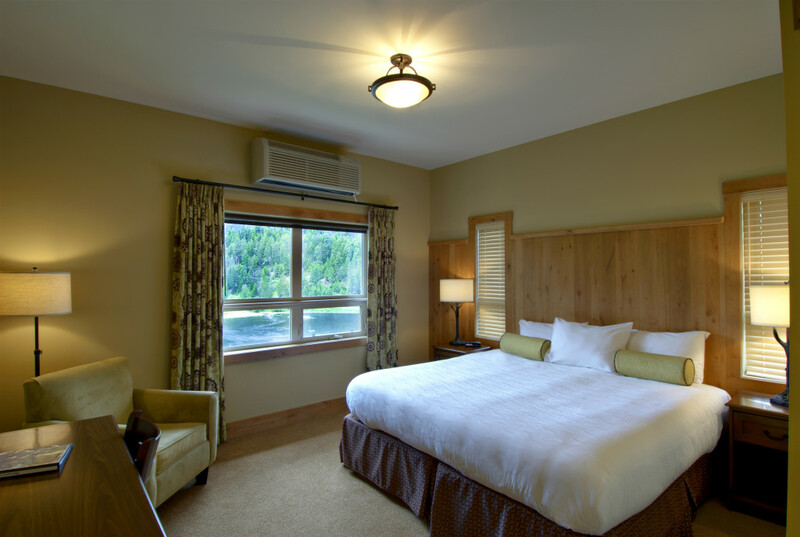 The lodges each accommodate 100 guests in dormitory style rooms, each accommodating 12-14 people. 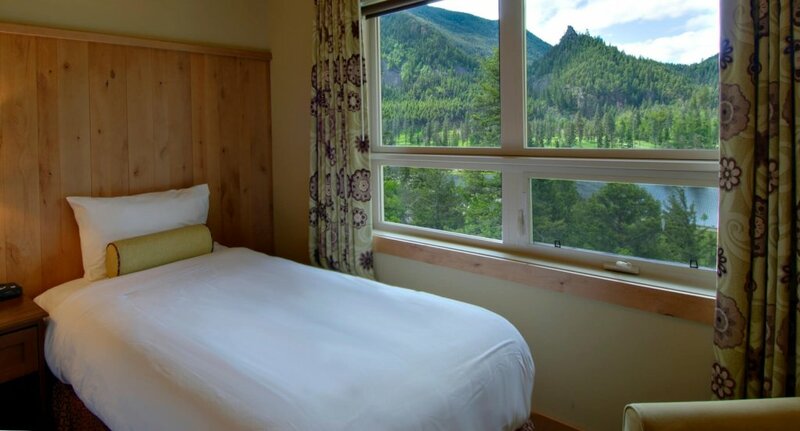 The beds are log pole styled bunks with linens and bedding available. Each room has an adjoining bathroom. A common area for socializing is centrally situated on every floor. 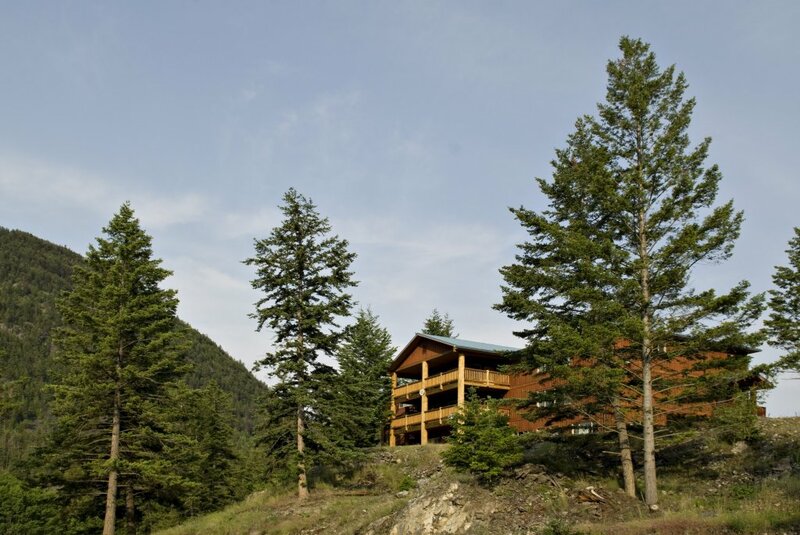 There are 3 dorm lodges on site, all nestled high in the trees with their own beautiful view of the property. Wolfe Creek Lodge is a full service luxury lodge with 45 well appointed guest rooms, some of which can be combined and adapted for family use. 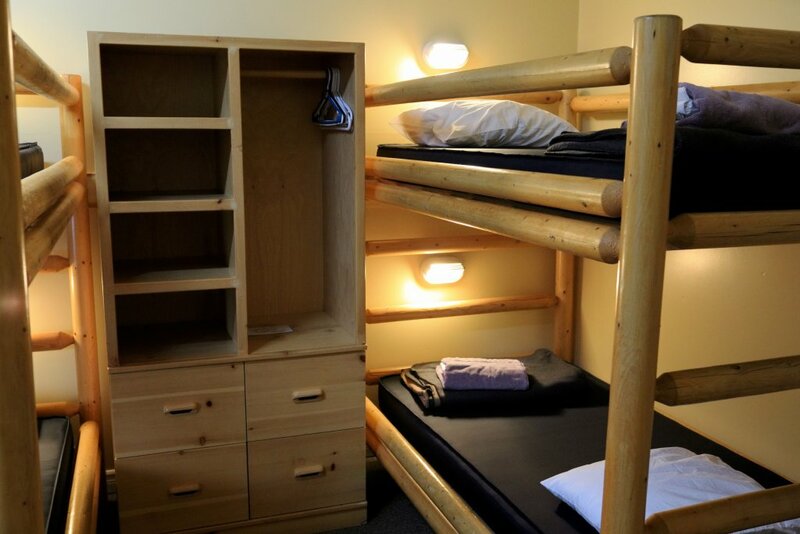 A maximum of 128 beds are available. 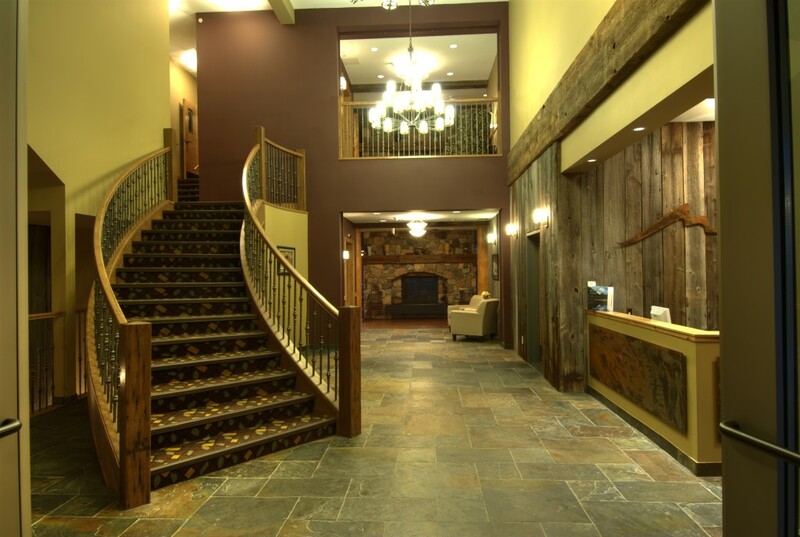 The lodge encourages community building as guests mingle in inviting lounge areas with high ceilings and soaring natural stone fireplaces. 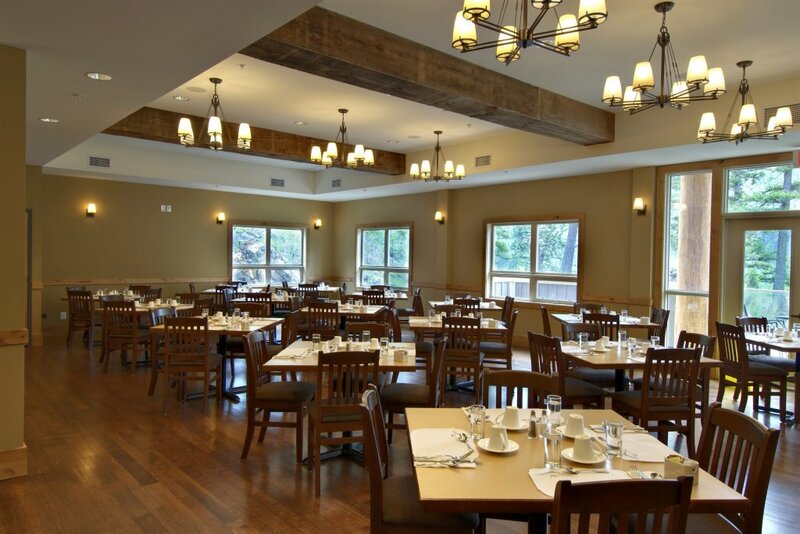 The Rimrock Dining Room accommodates up to 80 guests in intimate style with a view towards Pinnacle Peak. 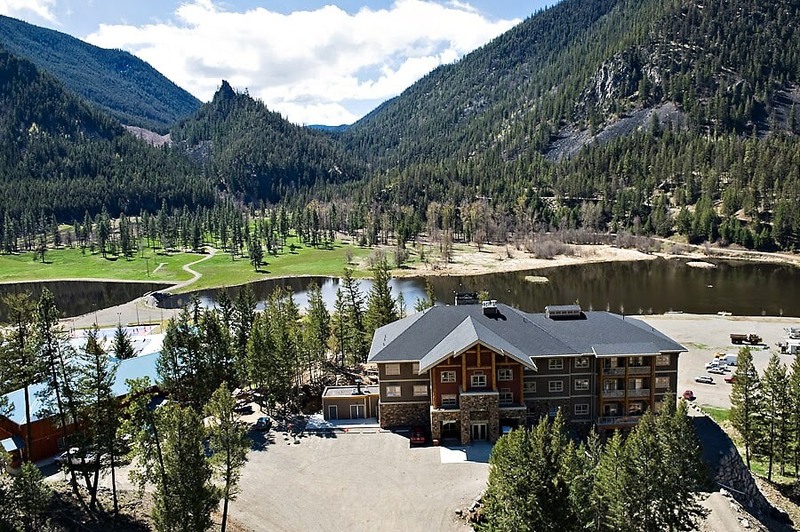 The Okanagan and Little Rimrock meeting rooms accommodate both large and small gatherings.